Emma has put everyone else first in her life. Now at nearly 25, has she missed her chance at marriage? Emma was Adam's first love but circumstances made them both choose different paths in life. Emma's heart breaks all over again when Adam returns to the Amish community of Middlefield, Ohio, years later. For the past ten years, Emma has been raising her siblings after their parents' untimely death. She's put their needs above her own and now, with them grown, she can focus on herself and her dream of opening a yarn store in the vacant cider house on her land. With Adam's return come feelings Emma's long buried. They're older and life hasn't turned out the way they thought it would. Adam's feelings for Emma are stronger than ever, but will he be able to convince her to put others aside and give their love a chance? Treasuring Emma by Kathleen Fuller was published by Thomas Nelson in March 2011 and is our 13779th best seller. The ISBN for Treasuring Emma is 9781595547750. 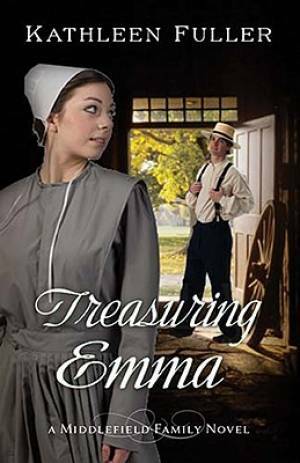 Be the first to review Treasuring Emma! Got a question? No problem! Just click here to ask us about Treasuring Emma.